Photo of: East Coast of Ireland: Wicklow: Great Sugarloaf. A view of the Great Sugarloaf mountain, a very distinctive hill that towers above the small village of Kilmacanogue. Some people believe that the Great Sugarloaf is an extinct volcano, but it is in fact a Cambrian quartzite. The fantastic shaped hill appears as a smaller version of Croagh Patrick, the famous mountain in Mayo. 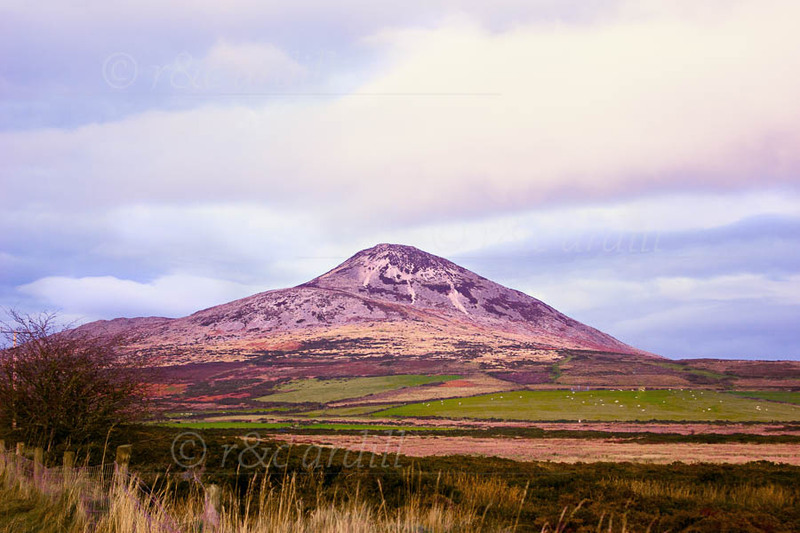 The Great Sugarloaf is certainly one of the most famous hills in Ireland. It commands fine views along the coast: even the mountains of Wales are easily visible to the naked eye on a clear day.